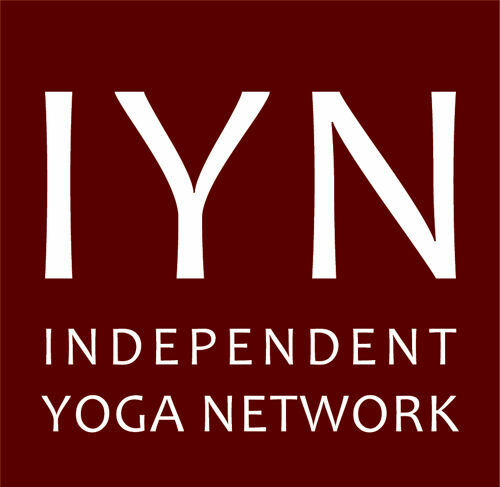 Most of my yoga work these days is with the Bodhiyoga Mindfulness Yoga training programme. In Valencia, I am currently focussing my energies around supporting the Triratna Buddhist Centre teaching classes, courses and organising events. I offer sessions of Shiatsu and Thai massage therapy. Mindfulness Yoga - A new video from us talking about our approach to yoga through Mindfulness, particularly focussing on the four foundations of the Satipatthana Sutta. We also talk of our emphasis on intelligent body centred alignment of postures, adapted skilfully to each individual practitioner through awareness of individual anatomy. Thanks to our students of our 2018 course in Suryavana for their participation in the filming. Thanks to Eduardo Vizuet for the editing and filming! 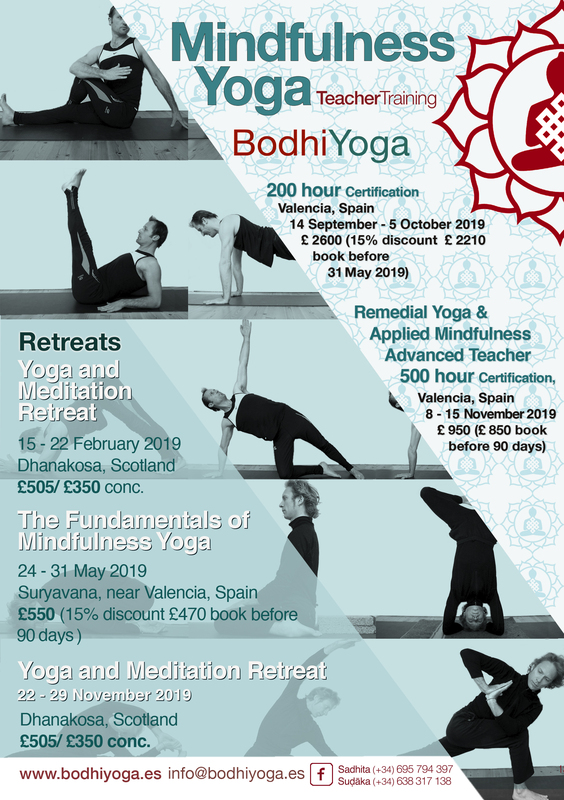 Suḍāka and Sadhita offer a comprehensive 500 hours Mindfulness Yoga teacher training (with 200 and 500 hours Certification) based in the UK and Spain. Please visit www.bodhiyoga.es for more information.